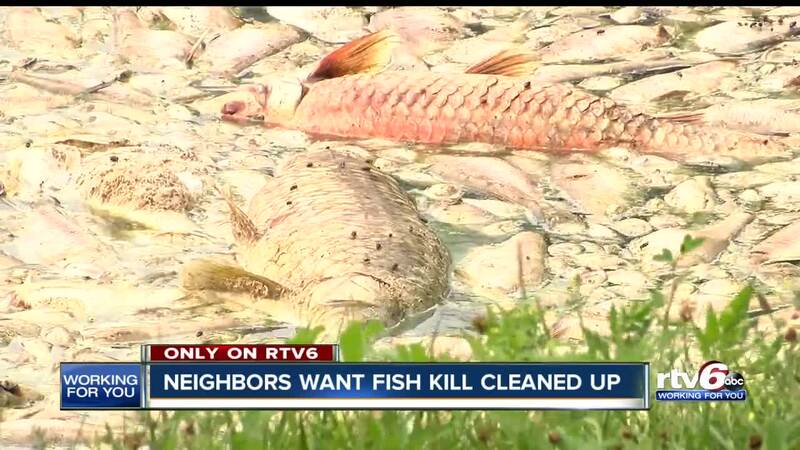 INDIANAPOLIS -- Hundreds of dead fish and an awful smell coming from a golf course pond have neighbors concerned, but the health department says it could be a natural occurrence. Neighbors contacted RTV6 after seeing hundreds of dead fish floating in the pond, which is owned by the Saddle Brook Golf Club near 56th Street and Georgetown Road. Images taken at the pond Wednesday evening show hundreds of dead fish along the shore, which has caused a foul smell in the area. The Marion County Health Department says they are aware of the situation and have been out to check on the conditions at the pond. They say all of the water samples they've taken have come back normal and there's no sign of a spill or release in the area. A health department spokesman says it could be a natural occurrence. People living in the area just want the pond cleaned up. "This is certainly not a good neighbor policy to let this just sit here and rot," said Deborah Giroff, who lives behind the golf course. "My neighbors and I can't sit in our yards which we thoroughly enjoy." The health department agrees. 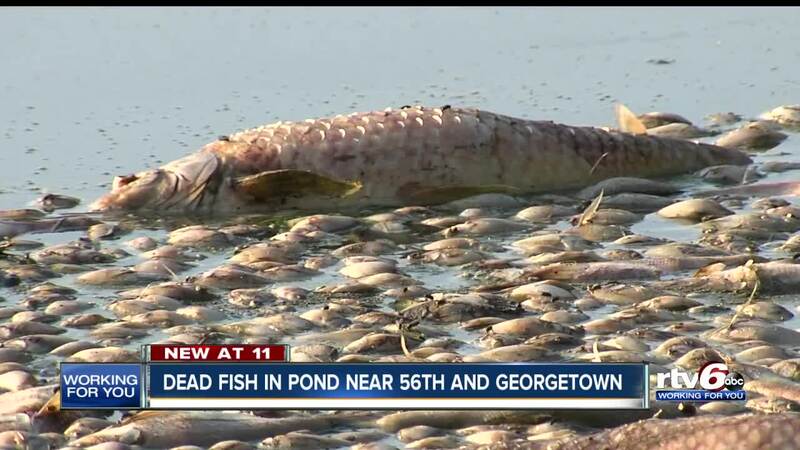 They say a verbal order was given to the owner of the golf course on Thursday and they have 48 hours to clean up the dead fish. One of the owners of the Saddle Brook Golf Club, Mike Shaw, said Thursday evening that he was not aware of the health department's order but that the fish have started to sink and the issue "will take care of itself naturally." Giroff says she has reached out to the mayor's office and plans to call them back Friday if the fish still haven't been cleaned up. The health department says their tests show there is no health risk to anyone who lives near the pond.